TAMPA, Florida -- Police in Florida say five people have been hit by a car at a school bus stop. 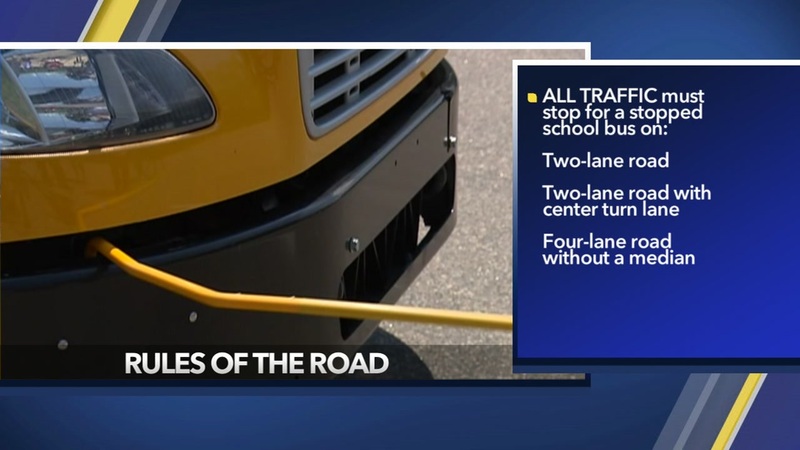 The crash comes after three young siblings in the rural Indiana community of Rochester were hit and killed by a pickup truck on Tuesday as they crossed a two-lane highway to get to their school bus. Another child was critically injured in the incident. The driver of the truck was arrested and charged with three counts of reckless homicide and one misdemeanor count of disregarding a stop sign and causing injury. On Wednesday, a 9-year-old boy was killed in Mississippi as he crossed a highway to catch a school bus. The driver who struck the child was arrested and charged with one count of aggravated assault. To avoid tragic school bus accidents, North Carolina Department of Transportation reminds drivers of the rules of the road. Do you know the rules of the road when a school bus is stopped?